From the shores of the Adriatic Sea to the cobbles of Northern Europe, we are lucky to have such a wide array of picturesque towns just a short plane ride away. Here are some of our favourites! 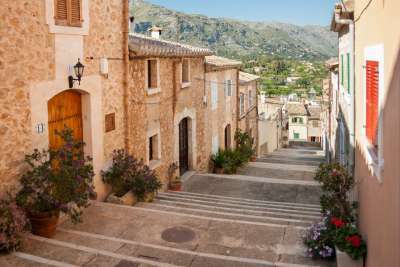 Pollenca is one of those places that really does have it all. Combining many of the things that you wouldn’t necessarily be able to get out of just one holiday, this little Majorcan gem offers all the elements for a picturesque retreat. Boasting a stunning old town perched on a hill, a golden beach that borders the still sweeping bay, mountains that seamlessly frame the resort, and a bustling new town, you will be able to find everything you need for a chilled-out break in the sun! If you close your eyes and think of Santorini, chances are you are picturing the blue domed roofs of Oia. 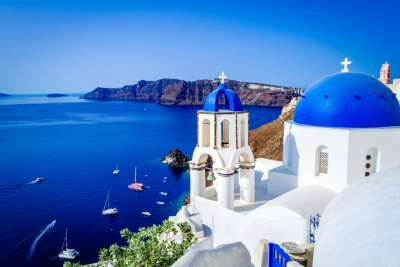 Perched on the side of a cliff, this town epitomises the luxurious Greek holiday and has become an increasingly desirable destination in recent years, due to its photogenic charm and popularity across social media. If you do head to the island, be sure to position yourself in a cliffside pool or bar with a glass of your favourite tipple at golden hour. Watch the sunset as the cruise ships pass through the bay and snap the sight to capture your memory forever. If you’ve ever fancied visiting Lake Bled, we think that Ljubljana is a worthwhile stop on the way. 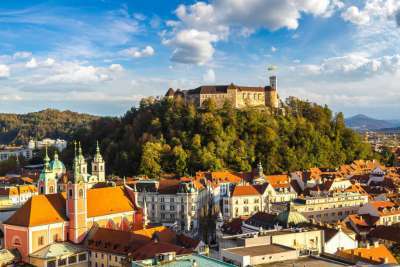 The rather ljubly (sorry) capital of Slovenia is unmistakable, with the castle sat high on a hill overlooking the city’s rooftops. The decadent riverside is also well worth checking out! Ornate bridges, reminiscent of Venice, are dotted along the Ljubljanica River, while pastel-coloured buildings line the banks, making for some of the most picturesque scenes that you’ll ever see with your own eyes. The Costa del Sol has a fabulous range of resorts to suit any traveller, but have you ever considered stepping back from the coast and discovering the charm of the Spanish mountains? Located east of Malaga sits the quiet mountain settlement of Frigiliana, a whitewashed town which boasts unparalleled views out to sea. If you have your head in the clouds, then you cannot go wrong with a quiet break to this charming Spanish town. 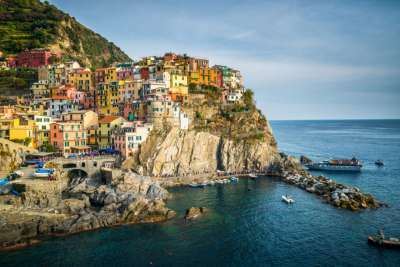 If you are looking for a quieter version of Positano, then it may be worth considering a visit to the Cinque Terre, a stretch of Italian coastline made up of five colourful villages. One of the most iconic, however, is Manarola. The pastel-coloured houses follow the shape of the land and are built into the cliffs. There is no beach, just a slipway carved out of the rocks for the fishing boats to make their daily voyage. Contrasted by the piercing turquoise of the water, this town is as picturesque as they come. 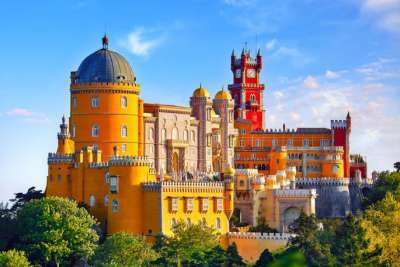 Located away from the hustle and bustle of the Portuguese capital, the Crayola-coloured city of Sintra sits pretty on a lush green peak. The primary colours of red, yellow and blue make this stunning city seem as though it is a place you once dreamed up as a child. Here, you can look down on the clouds or look up to walled palaces that you’d expect to discover in Disneyland. 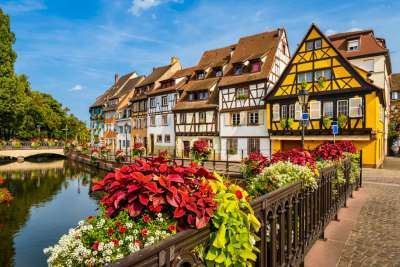 Just like a scene out of Beauty and the Beast, the town of Colmar is another one of those places that truly has to be seen to be believed. Period properties coloured soft yellow, pastel pink and baby blue line the river and are offset by the spring blooms in the window boxes and hanging baskets. Hop onto a boat to see the town from its best angle or get a closer look with a wander along the cobbled streets. Bruges may not be the first place you think of when it comes to a summer escape but let’s face it - a city is always best explored with the warm sun on your face. Bruges is undoubtably beautiful, from the intricate architecture of the old square to the traditional buildings lining the banks of the Reie River. 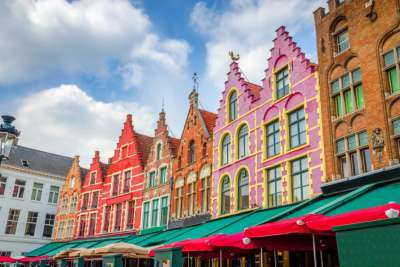 Be sure to check out the markets while visiting this super city and indulge in lots of Belgian chocolate! We love Tallinn all year round, but when the sun is shining, we think it’s even better! Looking down on the city from above you will notice the red rooftops and the domes and spires of the cathedral, an unmistakable landmark. 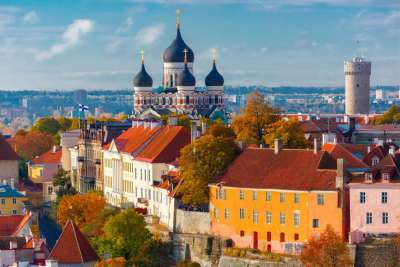 Another standout feature of this beguiling capital is the walled Old Town, which is home to cobbled streets and authentic Estonian cafes and shops, providing an easy place to get lost for a day. 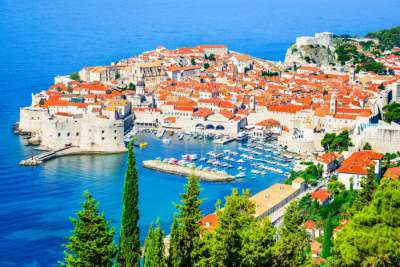 You may recognise this one from a very popular TV show, but Dubrovnik has a lot more to its name than being one of the filming locations of Game of Thrones. Hugging the aquamarine bay, this is another city with a distinctive walled Old Town, making it seem mystical, magical and a fitting place to film a fantasy series. Delve deeper into the city walls and you will find 16th-century architecture, a charming harbour and authentic Croatian eateries and boutiques.